I'll admit the headline might be a bit stretch. 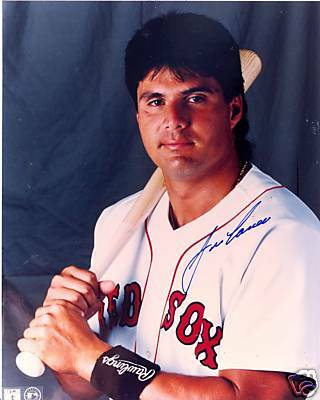 Jose Canseco is remembered as a lot of things, but "former Red Sox" is not usually the first thing to come to mind. And he won't be managing an Alberta team. But Jose Canseco has signed on to be a player/manager of the Yuma (Arizona) Scorpions. 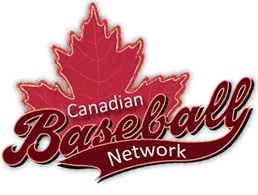 They play in the North American Baseball League along with our home province Calgary Vipers and Edmonton Capitals, so we should see him in the dugout and maybe even playing 1st base, or DHing when the Scorpions visit our province. He will make his first visit when the Capitals host Yuma from June 24th to 26th in Edmonton, and then go on to Calgary to play the Vipers 29th to July 2nd. If you miss these series, he will return to Calgary August 18th to 21st. Get your Jose Canseco Autographed Oakland A's White Majestic Jersey Inscribed "88 AL MVP", by clicking on the jersey on the left.